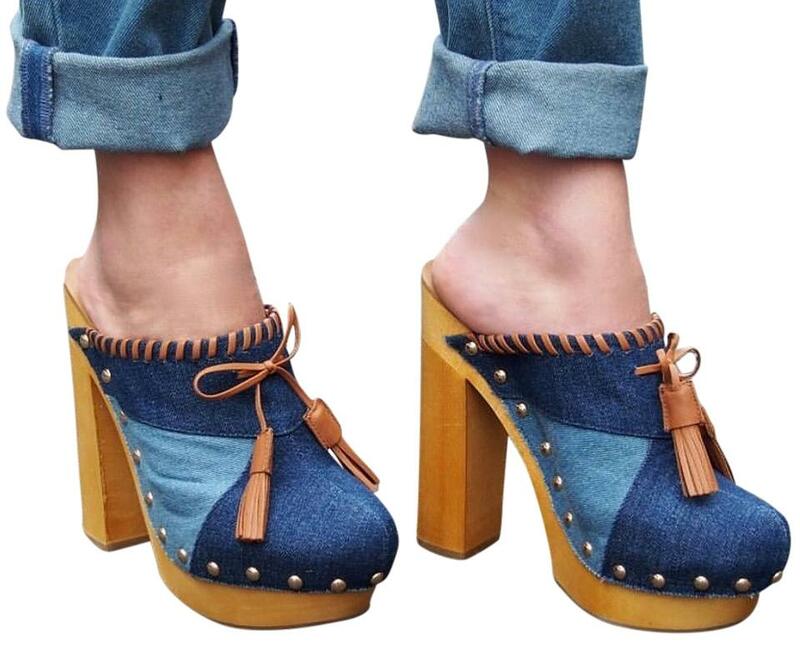 A patchwork denim upper furthers the retro appeal of a trend-right clog set on a chunky wooden heel and platform. Leather fringe and topstitching complete the eye-catching style. 5 1/2" Heel1 1/2" Platform. Euro sizes 36-41.